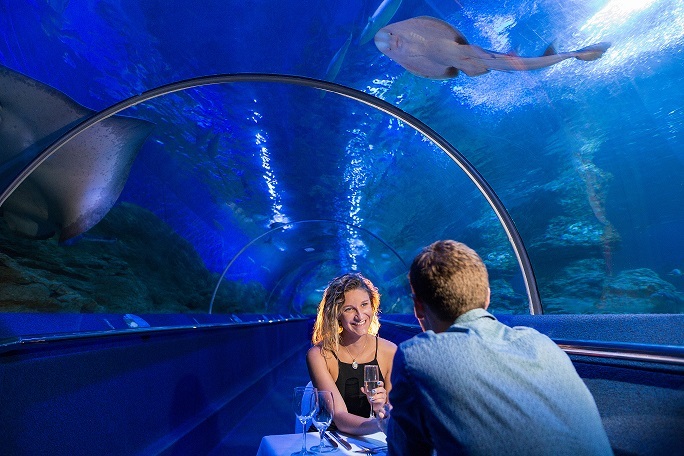 Due to overwhelming demand for our Dine Beneath the Sea experience, guests now have the opportunity to join the waitlist as future dates are released. Everyone on the waitlist will receive first options to pre purchase tickets before going live to the public. Simply register your details and as new dates come up you will have the option to purchase tickets to this truly unique dining experience. By registering your details you will also be notified of any of the upcoming adults only events for presale opportunities.